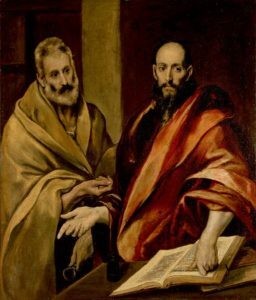 Today is the Festival of St. Peter and St. Paul, Apostles. A while back, I found the following poem about St. Peter which deals with one of these great apostles, and I thought I’d share it today. taxes paid in coin from mouth of carp. with hooves and claw and feathers? Call no thing unclean which I have made holy? to be overwhelmed with fishes. Do you love who you say that I am?